Compliments of the Season – Love and Peace and Good Wishes to all the Spuffy fandom – we love our ship and continue their journey.. This background is from my annual series of abstract Christmas Lights studies. Hope you have enjoyed looking at my work for this round – want to say Thank You for checking out my work and all the feed back – greatly appreciated. Thank you all for another wonderful Seasonal Spuffy – wonderful work from all and Thanks to all the administrators – Much Spuffy Fan Love to all and Best Wishes to all for a wonderful Holiday Season. My last submissions are with the Christmas and Holiday Season with Buffy and Spike – Feel Free to use. Also a little shout out to Runaways with this Spuffy Home – plus my own Christmas Tree from a bit ago. Using and playing with some of my all time favorite illustrator/artists – the Leyendecker brothers. Hope you like. Can’t have Seasonal Spuffy without some Spuffy Thanksgiving – here are two of my Thanksgiving graphics for this year. All my Best Wishes to all our Spuffy fans for the start of the Winter Holiday Season and for those who celebrate this holiday – Happy Thanksgiving. I plan on watching PANGS sometime tomorrow – right now we are off to spend a wonderful day with my sister and nephew I’m so thanksful to have some of my family living close to me now. Sorry for posting so late – I have three manips – hope you like them – I had a great time working on them. I have always loved the idea of having Buffy and Spike in the roles of Nick and Nora Charles and think that the snark they often engaged in would be a great fit for the Hammett characters. SURE wish one of the outstanding Spuffy writers would be inspired to do a Spuffy version. My second submission – again with the use of word Fall. A graphic that is just something pretty to go with two physically beautiful characters. Hope you like by graphics. I Wanted to work with the theme of Fall as a symbol of the life cycle and transition. With this in mind, I really wanted to have a new symbol for Buffy and Spike – a new ring to represent their current relationship and a new era for love in their lives. Instead of the Claddagh ring I imagine Spike giving Buffy a Fede Ring – perhaps one that was used by his mother. This ring is from the period of 1850-1859 manufactured in England. A Fede Ring is symbolic of Trust and Fidelity – these traits fit both Spike and Buffy now and the events of their history as well as how they treat people they love. They’ve certainly had to go through many trials to finally get to where they are now. 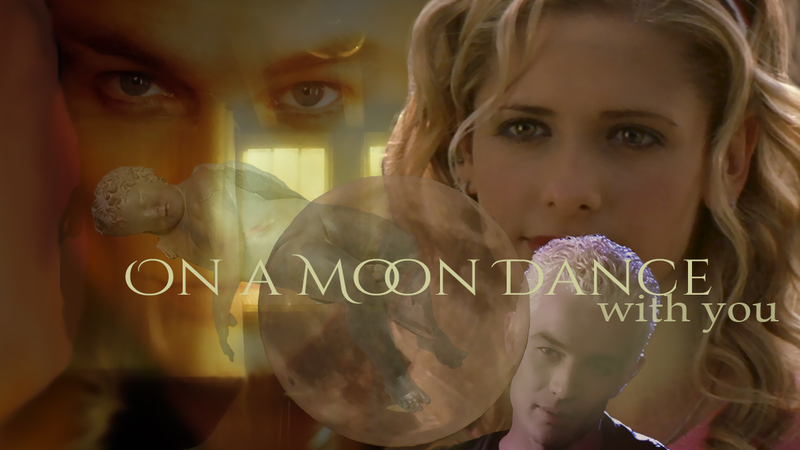 Here is my second banner – this scene and quotes, for me, are the essence of Buffy and Spike and their relationship in this early time period. And yet, so much of William/Spike will effect his future in Sunnydale and with his one time enemy. I did two banners and had a great time watching this introduction of Spike to the series – it’s an awesome way to meet Spike and Drusilla and Buffy’s first encounter with the family of Angel/Angelus. Thank You all – to the mods for all your efforats and to all the participants for all the stories, graphics, original art and vids you created for the Seasonal Spuffy fans to enjoy. 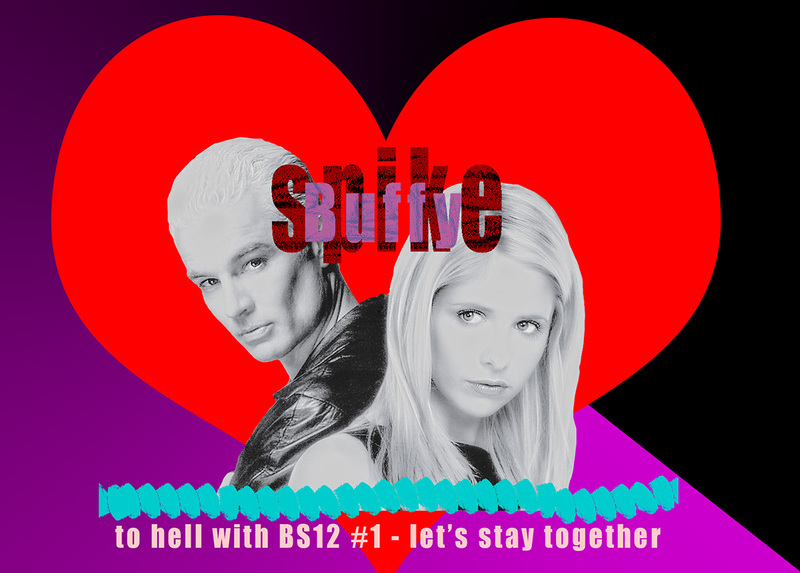 After all this time and added life experiences – I’m more a Spike & Buffy and Spuffy fan than ever. My third submission – I tried another Spuffy Haiku – I fell in love with this poety form for Spuffy.